People purchase different kinds of jewelry to celebrate special events. They buy for graduations, engagements, birthdays, anniversaries and many more. 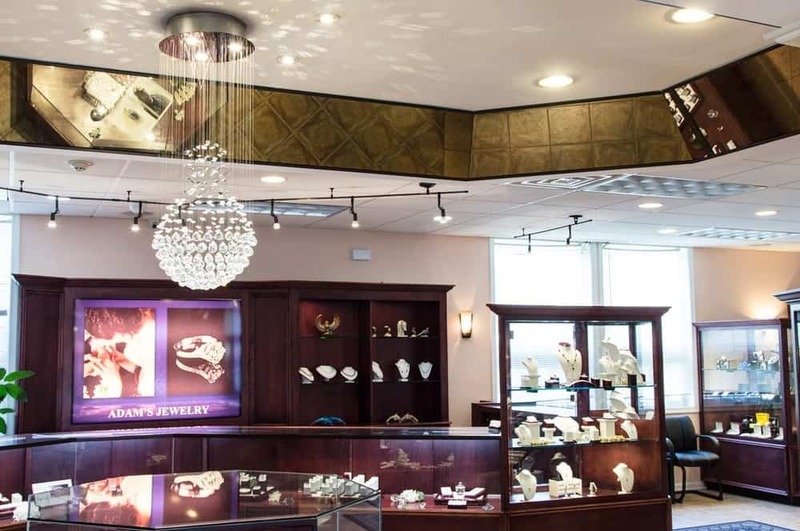 Having a reliable POS system for your jewelry store is important because it’ll help you look professional, store client information, and display your inventory quickly. One of the biggest challenges jewelry stores face is being unable to keep track of very small and valuable items, which are of the essence to the inventory of the store. A solid jewelry store point-of-sale system not only keeps track of the inventory but also provides a wealth of information. The business can use such data for employee management, target marketing, and much more. Undoubtedly, the right POS system will help your business in more than just one way. Whether its employee scheduling, inventory management, or sales forecasting, you need the right software for your store to thrive. 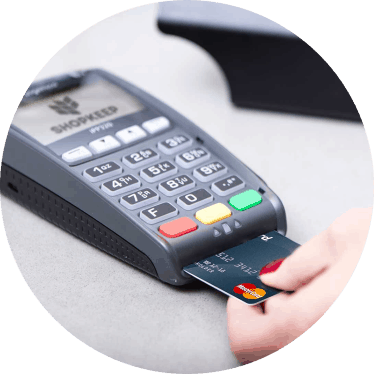 Lightspeed Retail is a platform-agnostic point of sale solution which can easily be accessed at any place, any time. 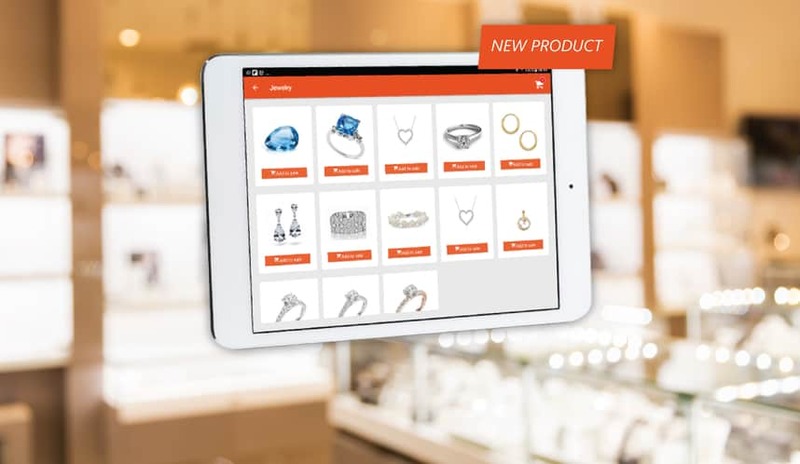 It is a server-based retail management solution that allows jewelry store owners to unify their stock, manage clients, process every transaction, and dig deep into their business’s analytics. With Lightspeed Retail, your jewlery store can start accepting various forms of payment. ithout forcing the retailer to buy an extra tool. The retail version has a variety of features which are a perfect fit for a jewelry store, such as a complete tracking of one’s stock, programs and apps that will let the user to get familiar with their customers. Works with 3rd generation iPads and onwards. Peripheral bundles sold separately but not needed to use Lightspeed. Features change depending on the package you select. Works with anything that can run Google Chrome and its extensions. 24/7 customer support available through phone, email, chat and more. Lightspeed Retail presents a fantastic mix of affordability, ease of use, value, and features. This makes their POS solution quite unique to jewelry store owners. As Lightspeed offers an ideal solution for various retail establishments, features like item import, analytics, real-time data are just some reasons to consider this vendor. The multi-store capability from Lightspeed ensures the inventory is synced across all of your locations. By using hardware like an iPad, your employees can walk around the store with the customer, check inventory from any location, and offer better customer service. If your jewelry sells inventory online, Lightspeed has the ability to integrate your website with the POS system by using an extension. Visually get a grip on your stock with the easy to read menu. Lightspeed Retail’s menu display big icons so you can operate the software easier. Lightspeed claims that they serve more than 30,000 stores in over 50 countries, and over 1,000 jewelry stores use their software. With a network of licensed resellers worldwide, Lightspeed is always improving their product. With seriously fast checkout and payment options, this jewelry POS is worth the praise. Also, easily schedule repairs and track the progress of each order. Manage all of your inventory from one dashboard, take orders from customers and place orders with suppliers. Lightspeed also has one of the best customer service ratings in the industry. With customer service available 24 hours a day, 7 days a week, you can rest assured any issues you have with your POS system will be resolved. Additionally, Lightspeed has customer service representatives that can come to your business and help fix any issue you have. This level of escalation will probably on take place in the event live chat couldn’t solve your problem. It wouldn’t be an exaggeration to declare that Vend is one of the easiest POS systems to understand. This makes it a better option for jewelry store owners who are just getting started in this business. The company was founded in 2010, and has been improving and growing ever since. We found Vend to be quite affordable and packed with features specific to retail operations. Vend believes that your POS system should operate as beautiful as your products are. As Vend is cloud-based software, it is aimed at jewelry stores that want to be stylish. Some features that Vend offers include customer profiles, unlimited stores, user accounts, additional registers, advanced reporting. Also, multi-outlet options, e-commerce options, gift card compatibility, and more. Vend is also known as one the best jewelry inventory software choices on the market. Stock management is quite easy with this system. You can add, remove or edit multiple products in just minutes, or import your current inventory in one click. If needed, you can order new stock, take inventory, and continue tracking this inventory across one or multiple stores. Vend also provides users with excellent customer service. Each customer service representative at Vend has a strong background in retail, helping them meet your needs. Vend also provides you with an opportunity to better yourself so you can succeed with your business. This begins with Vend U, which offers you thousands of educational classes for you and your staff. You can also access their online forums and speak with other business owners. This personal touch can allow you to grow your business in ways you never expected. This is a jewelry POS software which can really grow with the businessperson. Vend is easy to use, affordable, and one of the better options for individuals in the jewelry business. This is a cloud-based business platform, which integrates customer channels and operations with POS functionality in one dashboard. Revel Systems is suitable for jewelry stores of various sizes, offering features like integrated customer management, inventory management, and social media management. 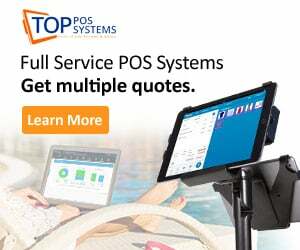 This point-of-sale system provides data analytics application, which tracks order history, hourly sales, payment and sales summaries, and product mix. This data is presented in the POS in the form of graphs and detailed reports. Other features of this POS software include gift card management, loyalty programs, barcode support and mobile ordering. Jewelry store managers or owners can easily control user access with distinctive passwords, user IDs, and swipe cards. Revel’s inventory management tools connect e-commerce and in-store channels, so inventory data is presented in real-time. CRM features allow its users to capture order history and customer data. 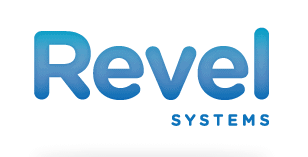 While it is last on our least, Revel Systems is still a solid choice and offers superb customer service. They provide live chat and 24/7 over-the-phone service. However, like Vend, Revel offers an opportunity to grow yourself as a business owner, through Revel University. This provides you with an incredible line-up of video courses. These video courses are arranged by type of business and by strategy you may want to learn. Unlike VendU, Revel University is not just focused on helping you learn how to manage the POS system. Revel University allows you and your employees to master any skills relating to your place of business. This is an incredible resource for you and your employees. This POS is really great as it offers real support to its users through live chat, training videos, and over the phone. It is also integrated with third-party partners such as QuickBooks and Apple Pay. Jewelry stores are thought of as high-end establishments. With this assumption in mind, many customers will come to expect nothing but the best service. 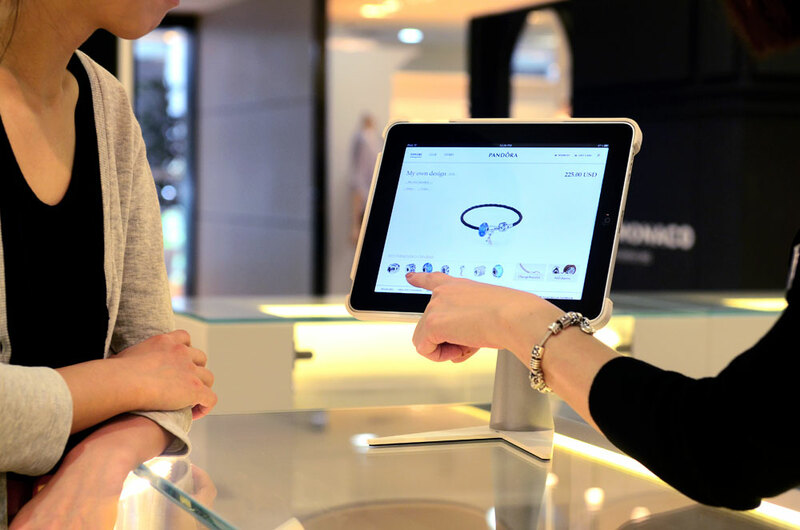 Be able to meet this expectation with the help of one of these jewelry store point of sale systems. If you don’t have one, you’re definitely missing out on essential features like inventory control and high-level reporting. With the right system, you could be expanding your operations, improving your customer service, and cutting costs. If you’re still not sure why a POS system can be essential for your business, read further. If you don’t have a POS system, then you are left at the mercy of paper records, or even worse at your memory to determine how much you have sold and how many are left in your inventory. Once you have installed a POS system means that all your sales, be it consignment items, charge accounts, custom orders, standard or layaways transactions, are accurately recorded and stored to be used for future analysis. Managing the inventory for a jewelry store can be a highly stressful position. If even one item is not accounted for, it could potentially cost thousands of dollars to replace. That is why you need a solid jewelry POS system. With the help of point of sale software, you can ensure that your inventory is all accounted for. Each interface tracks precisely what is shown to clients, what is sold, and what is returned. The interface will also inform you of which item sets sell best and which items aren’t a hot sell. You will also be able to order new inventory right from the same screen. Most clients love bargaining, and there is no anything like a good sale to draw customers through your doors. Research has shown that when you mark your product on the floor at thirty percent, it rings up that way. If you do not have a good POS software, there is a probability you will miss a markdown. This can leave your consumers disgruntled. When you have a point-of-sale system, what is required to be done is entering the discount and the SKU. Everything else is taken care of, and your clients will receive the discounts they deserve. In fact, one can even program the point-of-sale software to offer customers special discounts for a given period. This allows the user to run frequent specials and sales. In turn, you will encourage on-time consumers and drawing in more consumers to become loyal shoppers. Running a jewelry store is thought of as a lucrative business. Your books may or may not reflect this assumption. There is one thing you can be sure of; your POS solution will ensure your books are easy to read. Such interface will also display visual graphics that show you exactly how much revenue is coming in for the day, month, or quarter. You will be given insights as to what you have in stock, what is selling, and more. Vend’s interface, for example, is extremely clear with presenting the data at hand. Nothing helps business more than enthusiastic employees. With the right software, you will be able to track employees’ sales. With this capability in mind, it is easy to set goals for employees. You will be able to reward your employees for meeting and exceeding sales expectations. Conversely, you can see if any staff member is falling behind on their sales quota. If you see this happening, an early course correction can set them straight. POS systems will also aid in simple tasks like scheduling staff. Scheduling your employees will become an effortless process. Placing coupons and running advertisements using paid media is still a good way to attract new clients. However, without a reliable POS software, your sales team will require to enter each coupon manually. They will also have to keep track of every applicable discount. In return, this turns out to be time-consuming, and entering of manual data is prone to error. An ideal POS software automates the whole process and reduces the probability of keying errors. 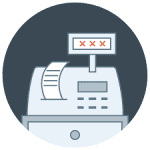 With a POS system, your employee will have the ability to scan coupons or promotions. At the same time, you will be able to find out how many items your promotion was used. With a system, you’ll be able to run one-time campaigns. These promotions could be customer appreciation days, sidewalk sales, as well as other special events. Jewelry POS systems give their users the ability to categorize and organize all their pieces. Owners can know the materials used to create the jewels, if they belong to a collection, their price, and more. Scheduling repairs can be a time-consuming process. Luckily, with any of the jewelry POS systems mentioned above, this process becomes timely and organized. Lightspeed Retail, for example, allows you to set a comprehensive calendar with all scheduled repairs. You will be able to edit and cancel reservations at the click of a button. You will be able to give your customer real-time updates on the status of their repair. Manage your customers’ expectations by tracking what stage of the repair process the item is currently in. These real-time updates will place your customer service above that of your competition. Running multiple stores is a challenging feat all on its own. This daunting task becomes a manageable one with the right tools. A program like Lightspeed will allow for multi-store control. You can manage several different locations’ inventory right from your home base. Have the ability to purchase new inventory for all your stores in one easy process. With no more than the click of a button, you can transfer goods from one location to another. With this feature, you can accommodate your customers and optimize your sales. In order to succeed in business, you have to be organized, fast, and work smarter. This task is no different for the owners of a jewelry store. One of these is to manage and run your jewelry business the right way. As you’ve read above, there are various reasons you should employ the use of a POS system. And, if you believe your jewelry store can’t afford a POS system, then think again. In the current market and with rising competition, you simply can’t afford to stay behind. A point of sale system can make all the difference between making it or not.